DISCONTINUED. The Glow-Worm Ultracom 24kW hxi is a high efficiency open vent condensing boiler. With a 88.5% SEDBUK efficiency rating it is part of a range offering 6 different outputs to meet varying heating and hot water demands. Featuring a robust stainless steel heat exchanger a built in programmer a back-lit digital display and built in frost protection this reliable and efficient boiler won a Which? best buy boiler award back in 2010. The Glow-Worm Ultracom will run on LPG too and better still there's no need for a conversion kit. 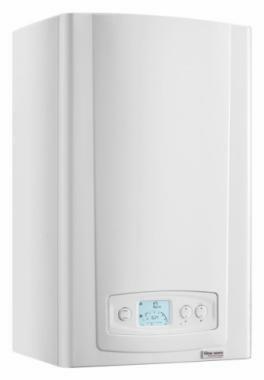 The Glow-Worm Ultracom hxi series has been manufactured to suit all homes and their heating and hot water requirements with a range of boiler offering varying outputs from as low as 12kW to a high of 38kW. If you're looking for a heat only boiler with advanced heating and hot water controls to compliment your busy lifestyle then the Glow-Worm Ultracom 24kW hxi is a good option. Easy to use and simple to program with its 7-day digital programmer you'll be able to set your heating to work around your daily routine.